Diet and cancer - what really matters? A lot of rubbish is talked when it comes to cancer nutrition and the subject of diet and cancer. ’Some lady down the road ate this’, ’the man in the newspaper said he beat his cancer by eating that’ and even ’my doctor says he doesn’t want me taking supplements, just eating five lots of fruit and vegetables a day’. Never mind the mythology - what does the research evidence tell us about diet and cancer? Can a diet help you beat cancer? Importantly, all the points below come from research studies we have printed in Cancer Watch in fact, all have appeared in several different research studies from several expert sources and the findings are very consistent. The subject of ’Phytomedicine’ and using ’Bioactive natural compounds’ as a part of your cancer treatment is much further advanced in American scientific circles than in the UK, so much so that the American Cancer Society talks of an ’explosion’ of research since 2006 and ’overwhelming’ evidence that diet can increase survival times and even keep cancer from returning. So here is your diet for cancer - the important rules in cancer nutrition. It’s a start in your cancer nutrition plan. Vitamin E: sunflower seeds, pumpkin seeds, almonds, wheatgerm, soya oil, Beta-carotene: carrots, sweet potatoes, apricots, cherries, spinach. Eat Fresh: Eating processed and packaged (plastic or tinned) not only increases your salt and sugar consumption but may provide lower vitamin levels. There are also concerns about packaging toxins. Freshly prepared food maximises your nourishment. Lightly steam, grill, avoid frying and microwaves. Eat Whole. Whole grains, whole foods. Low Glycaemic Index foods that release their energy slowly. Foods full of nourishment for your undernourished body. Eat fresh especially avoiding those processed and packaged foods which often contain nutritionally worthless refined ingredients and large levels of salt which can poison your cells. Eat 6 meals a day. Dont stuff. One or two massive meals play havoc with your insulin levels and disrupt all your hormones. You should snack, or graze, ensuring a slow but steady stream of nutrients to your body, especially as some vitamins are water soluble and can flush through in just a few hours. Eat oily fish: Salmon, herring and mackerel provide omega 3, proven to reduce cellular inflammation levels. They also provide a little vitamin D a known anticancer compound (You can also go in the sunshine half an hour a day. If you cannot do this, supplement). Recent research suggests taking a daily fish oil supplement beats eating the real thing! Eat garlic: Shown to have all manner of anticancer benefits from a reduction in cellular inflammation levels (along with aspirin, curcumin, ginger and aloe vera) to limiting blood supply to tumours. Eat less calories than you need: Research from Harvard and UCLA shows benefits in cancer-fighting hormones where people consume 5% less calories than they need. Some of these benefits can be replicated by the natural compound resveratrol. Drink clean water. The best is clean mountain water in glass bottles. You can try an ionizer or a Reverse Osmosis System with a remineraliser/alkalizing system. The issue is that in big cities where the water is recycled you can find levels of oestrogenic compounds and even the latest drugs in the water. Plastic bottled water may also release phthalates (xenoestrogens) into the contents, especially if they have been exposed to heat or sitting in the sun. Eat more Herbs. Herbs have very beneficial cleansing and immune-stimulating properties. It is often said that they conflict with certain drugs but there is very little research on the truth of this. Four of the best are astragalus, cats claw, echinacea and turmeric (curcumin). MD Anderson says astragalus doubles survival times for certain patients and curcumin seems to affect all cancers in a variety of ways. Take Probiotics: 80 plus clinical trials show that without friendly bacteria in your gut you cannot get the full nourishment from your foods. For example, vitamin K, folic acid, vitamin B-12 and beneficial fatty acid levels all decline. And these good guys help eliminate toxins like heavy metals and oestrogenic compounds, they stimulate the immune system, digest/eliminate microbes and yeasts, and new research shows they produce butyrate which can kill cancer cells! Your cancer treatment may very well have left you depleted. Its a fact: Antibiotics and certain drugs kill the good guys. Guard a correct weight. Being overweight increases your risks of cancer, and shortens survival times. But the good news is that research from NorthWestern in America showed that if you correct your excess weight it will increase your survival times. Equally, do not lose too much weight, a severe occurrence in about 7 per cent of chemotherapy patients - cachexia (as it is called) - will cut survival times. Eat properly, not fattening foods, dairy and empty calories, but good foods that dont feed your cancer at the same time. Hydrazine sulphate has been shown in research, including clinical trials, from the USA to Russia to reduce the dangers of both high glucose and cachexia. No one ever seems to know about this and it is ignored! Avoid Glucose. Glucose is the favourite food of a cancer cell. Cancer patients with high blood levels of glucose have shorter survival times. Fact. Remember, not all sugars are glucose. Some, for example, are extremely beneficial polysaccharides (like those in garlic, aloe vera, apples and brown rice) which can stimulate the immune system, some are fruit sugars, others have intra-cellular communications benefits. No, here we are talking common or garden glucose (found in soft drinks from Coca cola - 10 spoonsful in one can - to healthy Ribena and smoothies, sticky buns, cakes, ice cream, fast food, packaged food). Avoid it all like the plague. Avoid Cows’ Dairy. You simply do not need more Insulin-like Growth Factor (IGF-1) in your body making your cells divide faster when you have cancer. The studies linking dairy consumption with cancer are numerous (cervical, breast, prostate etc). And lactose (milk sugar) can be a negative factor for cancer patients too, especially where they have yeast or microbe infections. Avoid Alcohol. No one is saying the occasional glass of red wine in an evening wont be beneficial and relaxing. But it is proven that alcohol consumption can drive cancers, both directly and by feeding any yeast infections. Avoid bad fats. No refined oils and no trans-fats in your anti-cancer diet. They increase levels of free-radicals in the body and are linked to increase cancer risk. Avoid animal fats where possible. Use extra virgin olive oil or walnut oil on your salads. Eat oily fish, or take fish oil supplements. Eat flaxseed on your home-made mueseli. Dont fry your food or eat greasy fast food. 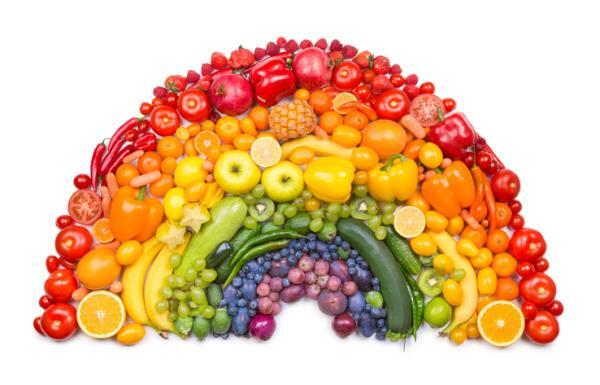 Finally take light daily exercise and read The Rainbow Diet and how it can help you beat cancer. There is so much you can do to help yourself using nourishing bioactive foods. Also go to Cancer Watch and see what the latest research findings on food and cancer suggest. Click Here to go there. Both are available on line via the distributors. Click on the titles above or the pictures in the right hand column. The brand new editions are out in October/November 2012.